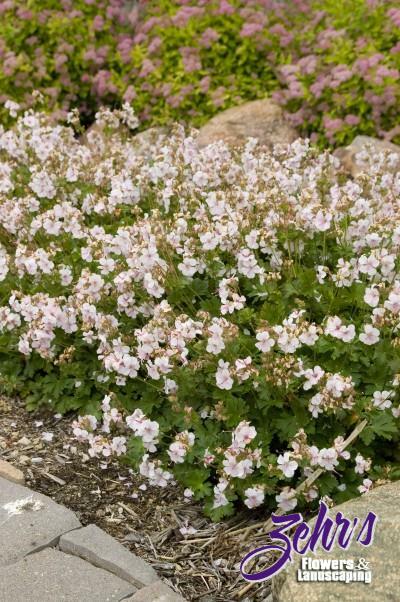 A lovely addition to the front of the perennial border or the rock garden, 'Biokovo' blooms for a long period in early to midsummer with small flowers that are white with just a tinge of pink. It forms a nice mound of lobed foliage that is attractive all year long. One of the smaller, tidier forms of cranesbill. Tolerates full sun to part shade in moist, well-drained soils.